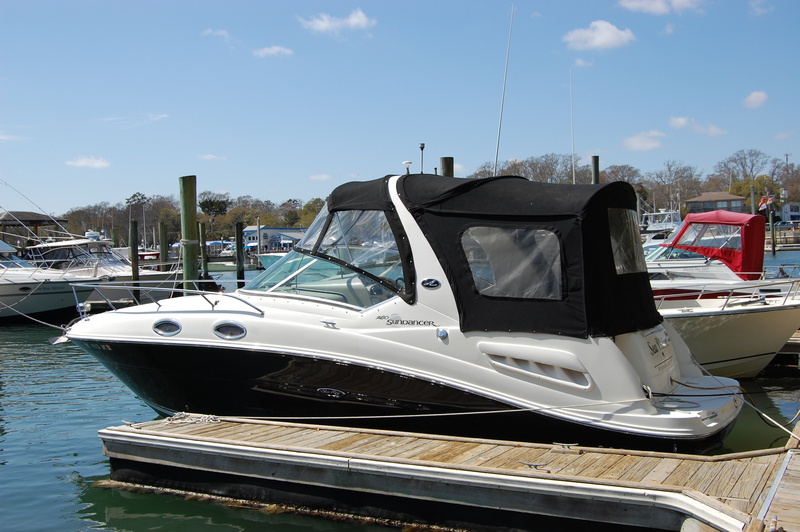 From day cruising around Wrightsville Beach to long weekends at Bald Head Island and beyond, the Sea Ray 260 Sundancer fills a new niche in our fleet. Take weekend trips to towns up and down our beautiful coast and never pay for expensive hotel rooms again! 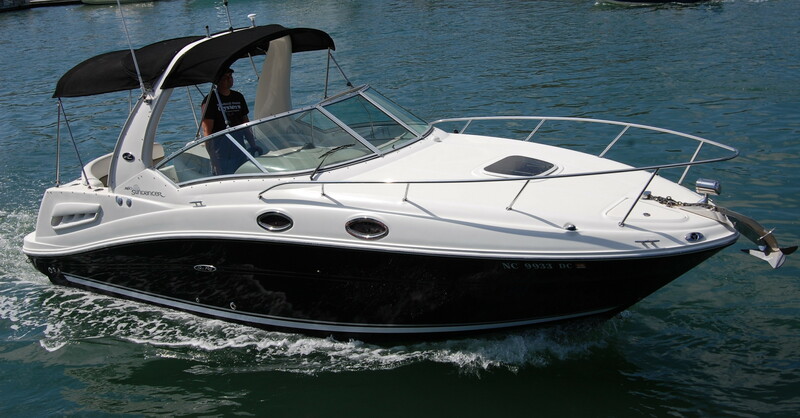 This classic compact sport cruiser is both comfortable and functional. 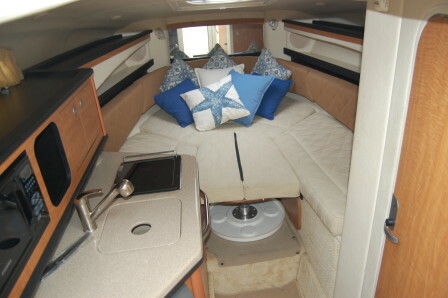 Her spacious V berth is perfect for adults and readily converts to a dining area while her mid cabin berth is great for children or storage of extra gear. 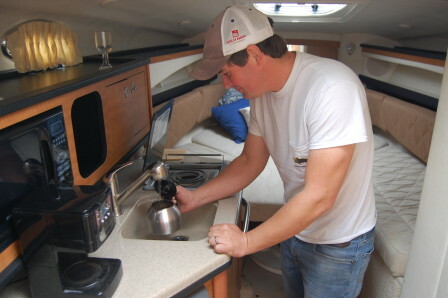 The galley includes a microwave, refrigerator, electric burner stove and sink, making meals on the go a breeze. 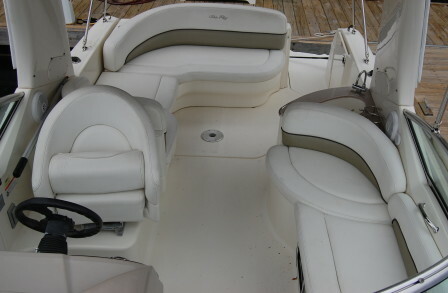 Combined with her full size head, hot water shower and A/C, there’s no “roughing” it aboard the Sea Ray Sundancer 260. 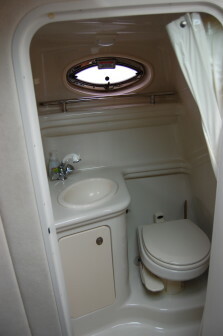 Out in the cockpit, the extended bimini top provides shade from the helm all the way back to the aft lounge, giving relief from the hot summer sun for all passengers. For winter cruising, the full eisenglass enclosure allows for plenty of year round warmth without sacrificing visibility. 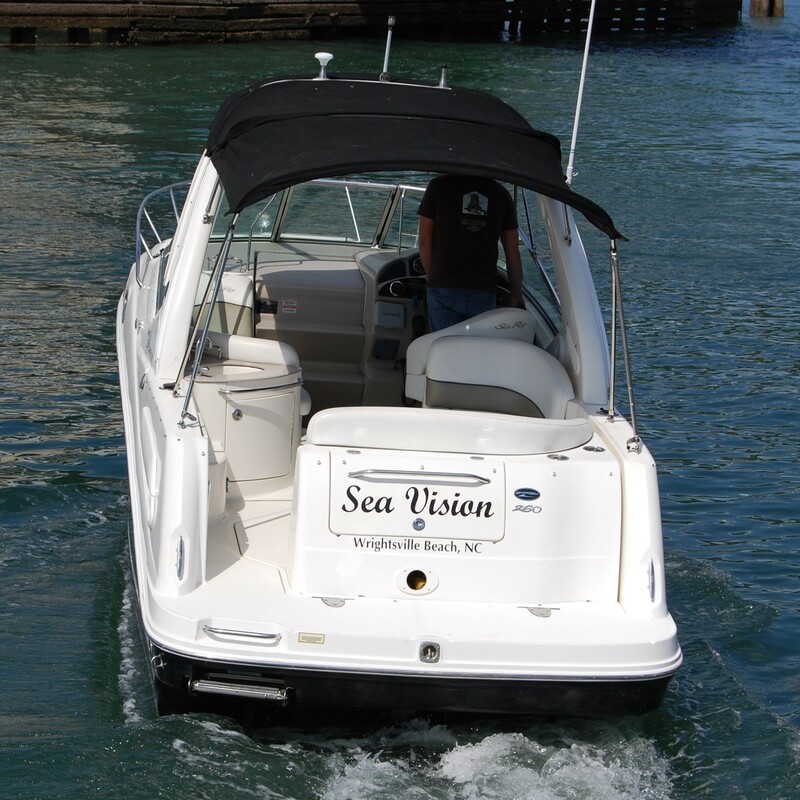 The helm with bolster provides comfort for the captain along with plenty of power thanks to her Mercruiser 350 mag stern drive V8. 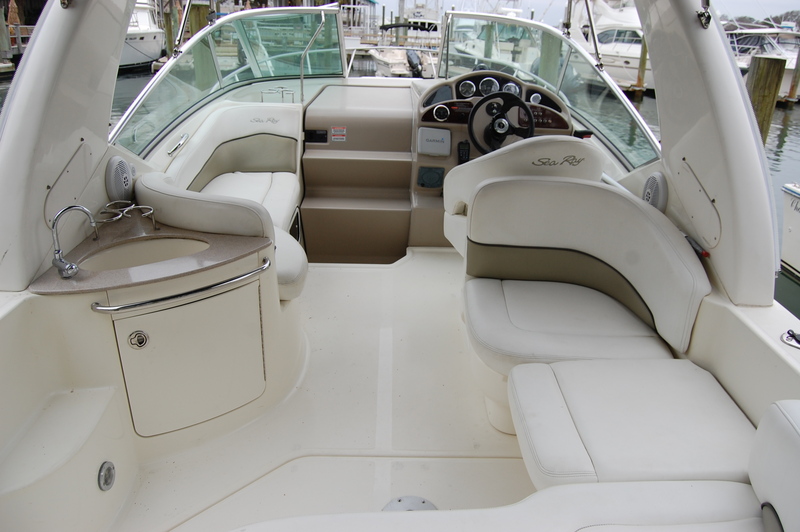 Take a truly unique vacation and get a true taste of the “boating life” on the Sea Ray Sundancer 260. 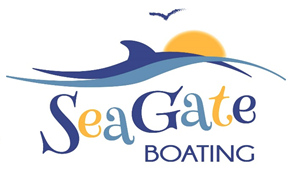 Call us for suggestions or book your trip today!